Just thinking about the holidays can be stressful, between gift giving, travel, and trying to please everyone this time of year always stresses us out. 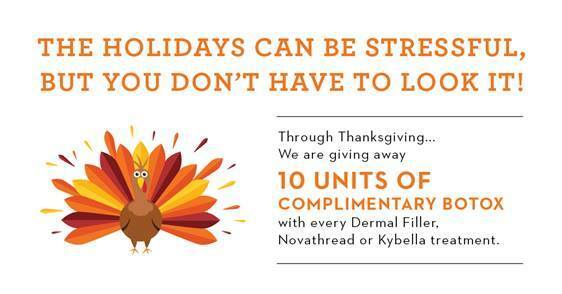 Tribeca MedSpa, (located at 114 Hudson St) is here to help you our by giving away 10 units of complimentary Botox with every Dermal Filler, Novathread or Kybella treatment through Thanksgiving. Will be sure to book our appointment this week.